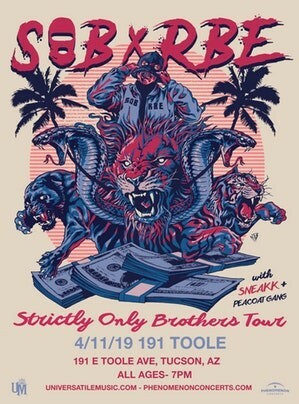 West Coast hip hoppers SOB X RBE bring the Strictly Only Brothers Tour to 191 Toole. Sneakk, Peacoat Gang, Ricky P., Tommy Will and YOUNG TUC share the bill. Details here. 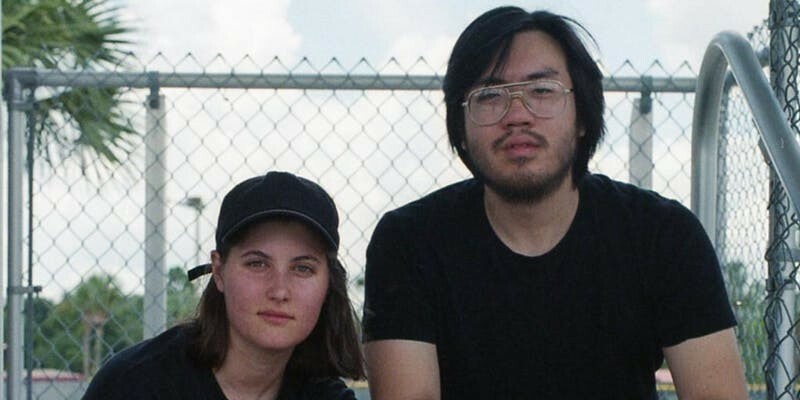 An intriguing new musical conglomeration, Tongs—featuring Chris Peña on keys, trapsman Tom Beach and bassist Chris Pierce—reveal themselves at Tap + Bottle Downtown. Details here. 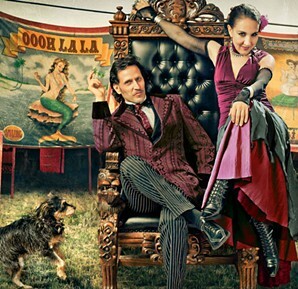 Guitar-driven pop duo Sales celebrate “Chinese New Year” at Club Congress. With Atlanta “pool rockers” Lunar Vacation. Details here. Singer-songwriters Nancy & Neil McCallion perform original Americana acoustically at La Cocina. Details here. UA Presents Alex de Grassi and Andrew York. In a program suffused with diversity, New Age fingerstyle steel-string acoustic and nylon classical guitars interlace at Crowder Hall. Details here.